Alcohol or drug addiction affects 23.2 million Americans (National Institute on Alcohol Abuse and Alcoholism, www.niaaa.nih.gov). The Centers for Disease Control and Prevention rank alcohol as the third leading cause of preventable death in the United States. Due in part to increased penalties for drunk driving, raising the legal drinking age and less tolerance for excessive drinking in general, alcohol abuse, as measured by traffic fatalities and teenage drinking, has decreased. ABK Tracking provides the MEMS 3000 and SCRAM Remote Breath alcohol devices. The systems integrate visual client verification with in-home or remote alcohol testing for conclusive and court admissible evidence of release compliance. An on-board camera utilizes infrared LED to enable accurate participant identification even in near darkness. In-home and remote alcohol testing systems available from ABK Tracking detect breath alcohol levels within +/- 0.005% accuracy of actual blood alcohol levels. When used in conjunction with other ABK Tracking electronic monitoring systems (e.g., Active GPS or House Arrest), in-home / remote alcohol testing has proven to be an effective means to monitor release compliance and shape more socially responsible behavior. ABK Tracking also provides the Smart Start Ignition Interlock device. ABK Tracking Smart Start ignition interlock products are breath alcohol analyzers that keep drivers with DWI(s)/DUI(s) from operating vehicles if their breath alcohol level is over a pre-set level. Our small electronic handheld devices are a cost-effective alternative to jail or license suspension, and allow offenders to keep driving. ABK Tracking installs a breath alcohol analyzer on your vehicle that is electronically connected to the ignition. When you breathe into the unit for several seconds, it measures your breath alcohol level and compares it to predetermined limits. If your breath alcohol concentration (BrAC) is over the authorized limit, your vehicle will not start. If your BrAC is within the allowable range, you’re on your way. 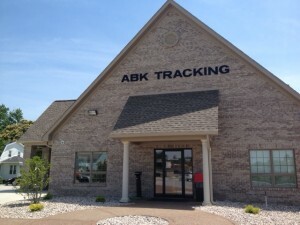 From time to time, you will be required to take your vehicle to a local ABK Tracking service center. Our certified technicians will service the interlock device and schedule your next appointment.